The desire to earn money taking surveys has hit an all time high. Why not try a site you know you can trust, YouGov!? YouGov is an international survey site that provides data to companies, governments, and institutions on what the population is thinking and doing. The length of each online survey varies, but most are between 5-7 minutes long. Surveys are rarely longer than 20 minutes, as this is considered a maximum. Once you have created an account and gotten started, your profile will notify you if there are surveys available. The length of each online survey varies, but most are between 5-7 minutes long. Surveys are rarely longer than 20 minutes, as this is considered a maximum. Once your survey has been reviewed, you will receive redeemable points. YouGov offers a variety of redemption options for members. Cash payments awarded via PayPal are an option, as are gift cards to retailers including Amazon, Best Buy, iTunes, Walmart, and more. What If I’m International? Can I Still Take Surveys? Yes, workers outside of the US may participate in the survey panels at YouGov. Individuals in the following countries can participate: United Kingdom, the United States, Germany, France, Denmark, Sweden, Norway, Finland, France, the United Arab Emirates, and Saudi Arabia. Go to YouGov and register for an account. 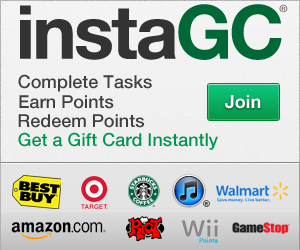 Start earning points! If you have used this website before, please share your experience in the comments below.